*This Electric bike is COLLECTION ONLY from our premises in Evenjobb LD8 2SA, on the England/Mid-Wales border. If you’re interested in viewing or buying this bike, please contact us on 07970 152170. Thank you! Condition: This is a brand new e-bike sold with manufacturer guarantee. 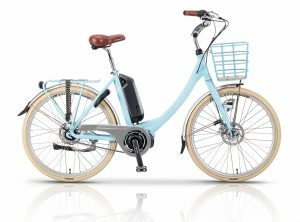 It is an electric bike with front suspension, lights, rear carrier rack, handlebar LCD display/control and mid drive motor utilising the Shimano STEPS system. ** Prices may fluctuate from time to time depending on special offers from VOLT. See our other NEW VOLT Electric bikes for sale on this website! You can buy the bikes from us, either from stock or on order, or you can buy direct from VOLT and have the bike delivered to us for assembly and checking (all included in selling price, which will be the same wherever you buy the bike). This VOLT Infinity Electric Bike for sale is available now from stock in our shop in Evenjobb along with other ebikes from the VOLT range. The whole range is available but if we do not have them in stock they are usually available on short delivery times. Whilst our second hand bikes may not be cosmetically perfect, we can reassure you that when they leave here they will be mechanically sound and functional. All will have some signs of use in varying degrees, which will be reflected in the price you pay. They are not usually around for long at our prices, so you’ll need to get in quick! We also have many new and used bikes as well as this second hand bike awaiting assessment in our workshop, so if you can’t see what you are looking for under USED bikes for sale, please ask, or just come and browse through our stock. CLICK HERE! to subscribe to our Newsletter to keep up-to-date with any featured new or second hand bikes. If you have any articles, photographs or advertisements you would like inserted in our Newsletter please email us via the CONTACT US form. THIS NEW BIKE IS COLLECTION ONLY FROM OUR PREMISES IN EVENJOBB LD8 2SA (on the Mid-Wales/England border). We have in stock a selection of electric bikes VOLT and Gepida, as well as bicycles from Claud Butler and Dawes, ranging from a small childs balance bike, through small bikes with 16”/18” wheels and stabilisers, childrens bikes with 20”/24”/26” wheels right up to adult Mountain / Hybrid / Touring / Road bikes. If we do not have the bike you want in the required size, they can be ordered in on short deliveries (carriage charges may apply). Condition: This is a brand new e-bike sold with manufacturer guarantee. It is an electric bike with Shimano Steps mid motor, lights, rear carrier rack, front basket, handlebar LCD display/control. Condition: This is a brand new 2018 model e-bike sold with manufacturer guarantee. It is a folding electric bike with front suspension, lights, rear carrier rack, frame mounted lock, handlebar LCD display/control and rear wheel motor. Condition: This is a brand new e-bike sold with manufacturer guarantee. It is an electric bike with Bosch mid drive motor, front suspension & handlebar LCD display/control. Condition: This is a brand new e-bike sold with manufacturer guarantee. It is an electric bike with Bosch CX Performance mid drive motor, 500w battery, front suspension & handlebar LCD display/control. 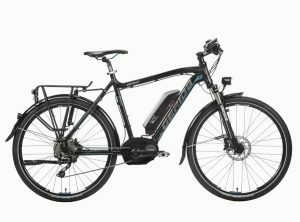 See our other NEW Electric bikes for sale on this website! You can buy the bikes from us, either from stock or on order, or you can buy direct from the manufacturer and have the bike delivered to us for assembly and checking (all included in selling price, which will be the same wherever you buy the bike). *All bikes are COLLECTION ONLY from our premises in Evenjobb LD8 2SA, on the England/Mid-Wales border. Remember to enter your telephone number at the Checkout stage so we can make arrangements for you to collect your bike. Thank you! *This 2nd hand bike is COLLECTION ONLY from our premises in Evenjobb LD8 2SA, on the England/Mid-Wales border. If you’re interested in viewing or buying this bike, please contact us on 07970 152170. Thank you! Condition: Huge selection of fully serviced, used bicycles in all shapes and sizes – approximately 80 in stock, not all listed on the website and stock changes all of the time so best to come and look at what we have. Largest choice of used bikes in the area! See our other 2nd hand bikes for sale on this website!